Atlantic Gold Corporation reported gold production and gold revenue for the first quarter 2018. Atlantic Gold Corporation (TSXV: AGB) reported gold production and gold revenue for the first quarter 2018. The company declared commercial production effective March 1st 2018 as a result of a successful ramp up of mine and milling facilities at its Moose River consolidated gold mine. • Gold ounces sold in the quarter were 17,187 ounces at an average sale price of C$1,619 per ounce for total revenue of C$27.8m. 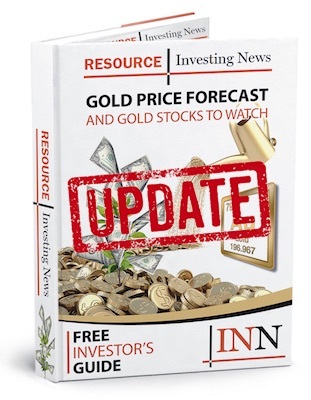 • Gold ounces sold in March 2018 were 7,755 ounces at an average price of C$1,663 per ounce for total revenue of C$12.9m and will be credited as revenue in the income statement of the Company. We experienced some extreme winter conditions in January and February with a +100 year precipitation event and power outages which caused several days of operating downtime. We also took the opportunity in those rampup months to refine the circuit particularly in terms of materials handling associated with the crushing circuit. Notwithstanding, we are very pleased to have achieved strong production statistics for our first full quarter of operations. The efforts of the team have led to good grade reconciliation combined with mill throughput and recoveries that have exceeded design criteria. March was a particularly good month with production of 8,810 ounces supporting our full year production guidance announced on January 19th,2018. Click here to read the full Atlantic Gold Corporation (TSXV: AGB) press release.